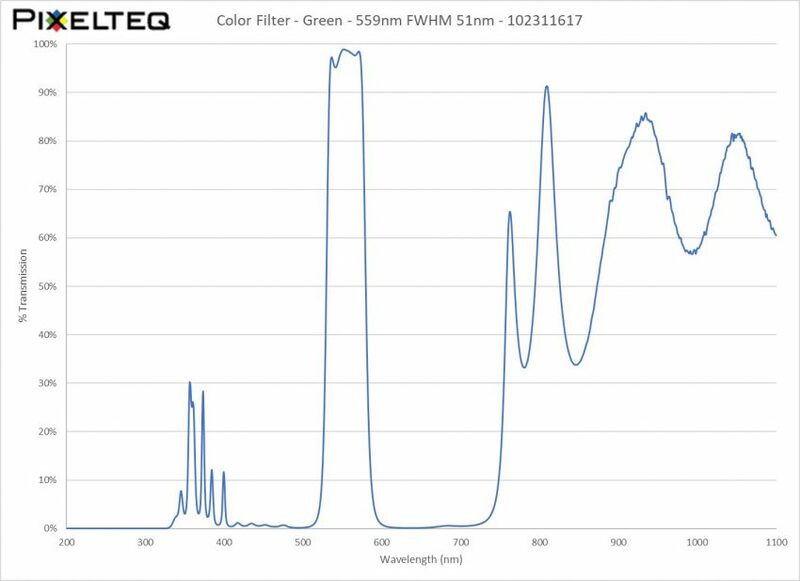 PIXELTEQ’s green color filters provide consistent vibrant color for all kinds of illumination and detection applications. The multi-edge bandpass dichroic filter design transmits only the central green visible wavelengths and reflects both shorter blue and longer red visible wavelengths. 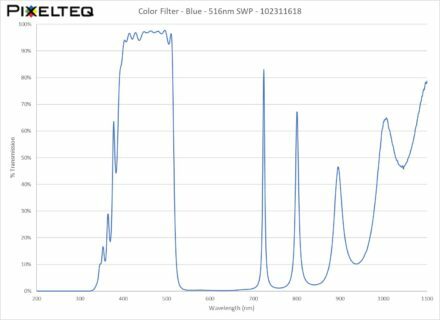 Also known as thin film or interference filters, PIXELTEQ’s green color filters use multi-layer hard sputtered coatings that provide durable shift-free performance without fading or aging in high output luminaires. 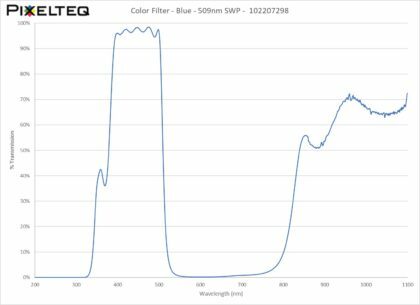 Unlike absorptive colored glass or polymer gels, these thin film interference filters are virtually absorption free – providing superior transmission, rich saturated blue colors, and true lifetime performance. The green color filters also have steep edge transitions between the shorterand longer wavelength reflection bands and the central green wavelength transmission band – much steeper than colored glass or polymer gels. 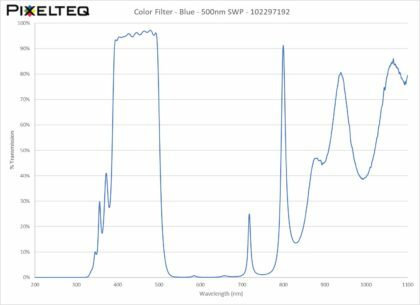 Custom colors are available to match specific cut-on & cut-off wavelengths and calibrated CIE colors – engineered for your specific illumination source & optics to deliver the targeted color output. These color filters can be patterned on gradient wheels or flags for smooth variable RGB or CMY color mixing. Multiple colors can also be micro-patterned for full color and photorealistic imaging effects and gobos. In addition to customized coatings, the optics are delivered in the form to fit your application – in specific substrates, shapes, and sizes.